Barry Liss | Professionals | Gibbons P.C. Mr. Liss devotes his practices to healthcare law and has extensive experience representing institutional and individual providers of healthcare services, organized delivery systems, independent practice associations, and other related business enterprises in the healthcare sector. His practice focuses on corporate and regulatory healthcare-related law, including accountable care organization development, integrated delivery systems, managed care, hospital reimbursement, physician practices, third party payor appeals, governmental payor disputes, provider network contracting, hospital vendor contracting, general hospital corporate representation, claim disputes between individuals and their health plans, and related areas of healthcare practice. Mr. Liss also serves as Patient Care Ombudsman in hospital bankruptcy matters. Mr. Liss practices exclusively as a healthcare attorney and provides his clients with guidance and insights that can be obtained only after decades of experience in this practice area. 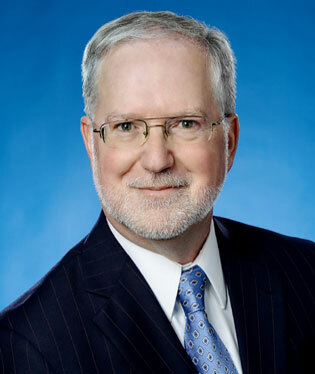 He is a sought-after speaker on topics such as HIPAA and has an extensive list of publications on topics that include healthcare quality assessment and the effects of hospital consolidation. He formerly served as a Gubernatorial Appointee to the New Jersey Catastrophic Illness in Children Relief Commission and is a past president of the Board of Trustees of Friends Health Connection. Prior to joining Gibbons, Mr. Liss was a partner in a leading healthcare boutique law firm that had a broad and diverse clientele of New Jersey hospitals. Earlier, he was in-house counsel for a large healthcare services corporation and HMO, where his responsibilities focused on physician and ancillary healthcare provider network contracting, healthcare facilities contracting, HMO operations, workers compensation managed care organizations, traditional indemnity provider networks, and management services organizations. He also provided legal support to the HMO’s Credentialing, Grievance, Medical Management, Peer Review, and Quality Improvement Committees. Mr. Liss’s academic focus prior to law involved healthcare policy analysis, quality assurance theory, and technology and quality assessment technology. Providing general legal support to multiple large New Jersey hospital systems, including fraud and abuse counseling, employment matters, exclusive physician group contracting, vendor contracting, major medical equipment financing and procurement, employee benefits, and related matters. Representing hospital systems and individual providers in their disputes with local health insurance companies, managed care companies, HMOs, PPOs and similarities, including disputes regarding reimbursement, credentialing, overpayment, and medical necessity determinations. Representing a large multi-specialty physician practice in the negotiations, development, and design of a pilot accountable care organization (ACO) program involving two large New Jersey self funded employee health plans, a third party administrator, and the group practice. The ACO pilot examined the total cost of care for patients included in the pilot and compared those costs to a matched comparison group. The ACO pilot program includes provisions for distributions of savings among all three entities if the total cost is reduced through best practices and improved case management by the multi-specialty group. Representing numerous physicians in their negotiation of employment agreements with hospitals, including Department Chairman, teaching appointments, administrative appointments, clinical positions, and other positions. Representing a large New Jersey hospital system in its development and negotiation of single-specialty exclusive physician group professional services agreements for emergency department, radiology, anesthesiology, and intensivist/critical care. Representing single-specialty physician groups in their contractual negotiations with large New Jersey hospitals to provide emergency department services on an exclusive basis. Representing a New Jersey hospital system in its development and negotiation of numerous forms of employed physician agreements. Representing a large New Jersey hospital system in its negotiation of various forms of medical equipment financing and finance lease arrangements.